Though romance—to some degree—has always been part of my books in the past, I hadn’t attempted one in…well, let’s just say too many years to count out. Let’s just leave it as being in the ancient times of the early 80s. It didn’t go very well. I was told my contributions were filled with too much comedy, too much mystery, and not enough sensual content—at which point I said “EW-www,” then promptly moved on. Back to the story of how The Wedding Barter came to be part of the TRYING OUT FOR LOVE boxed set published by my incredibly awesome published Forget Me Not Romances. To be honest, the encouragement and confidence in my ability to write a romance sealed the deal. 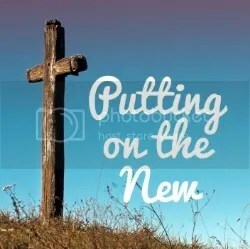 I was convinced it was the correct decision when, after a lot of prayer, the title for my “short novel” as well as the names of the lead characters were “given to me.” From there, it was a question of how to fulfill my commitment—which had suddenly become more difficult because of health issues. But, I’m a firm believer that God wouldn’t have given me the idea and details if He didn’t have the solution already worked out. After stewing over the dilemma for about a month, my husband suggested that I dictate to him as he typed on his laptop. Um, seriously? Would that work. Really??? He was not only serious, but was dedicated to the project—even when absolutely nothing was happening! He tried to understand how “my process” had always involved me sitting at my desk, eyes closed, fingers on the keyboard while I prayed and waited for the “connection.” I can’t even begin to explain how much more difficult it was to find a way to verbally describe what I saw happening in my head! But, like my characters in Barter reminded themselves, all it takes is a mustard seed of faith. That’s what I sought, and the result is a 49,000 word short novel—a romance based in the same fictional town of Tarryton, Missouri where The Bouncing Grandma Mystery series is set. No murders, but a few twists and turns, and, I hope, some laughs as well. Riley Carr has been best friends with Amy Lawton since they were toddlers. While Amy awaits her discharge from the Army, Riley’s been left in charge of helping to arrange “a very small, intimate ceremony with no fanfare” for Amy and her fiancé. But, Riley has something else in mind. It doesn’t help that the giant of a man is threatening, overbearing, and just doesn’t seem to like her or her ideas. But, when Todd gives Riley an ultimatum of producing results in three weeks or he’ll take over, she’s determined to prove him wrong. . .in more ways than one. 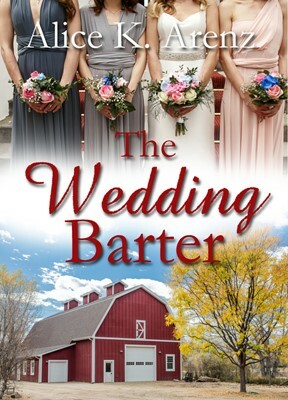 To enter to win an e-copy of the Wedding Barter, leave a comment. Winner will be picked on July 16th. Thanks! 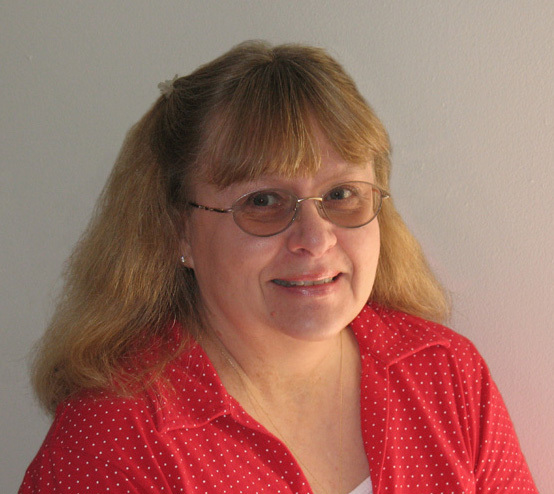 Thanks, Alice for sharing your story with us–both the book and how you came to write a romance. So, readers, do you prefer your favorite writers stick to one genre or are you willing to read something different from them? I love how this story came to Alice and what she’s willing to go through to set God’s word on paper. Alice is great at doing that. It’s always neat to read a book set in Missouri! I love to read books set in Ohio since I’m from Ohio. Thanks for entering, Joan. Looks like a fun book to read. I really enjoy mysteries with some comedy thrown in.